Even basic designs and shapes can make an attractive motorcycle patch. 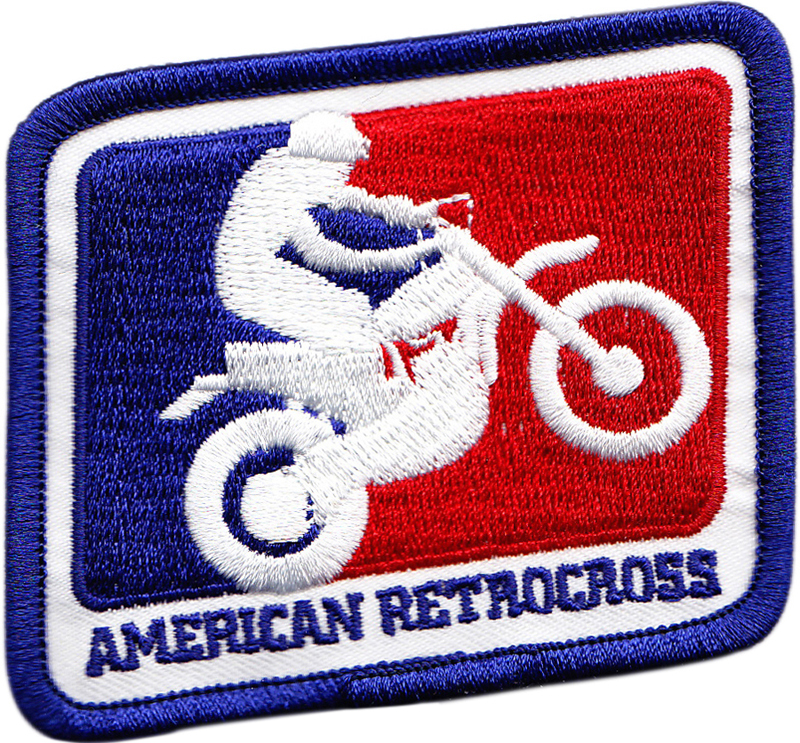 Many motorcycle clubs have unique embroidered patches, worn by their members to showcase the club. If you’ve looked into this for your club, but found the cost to be too high, here are some tips for you to help save money and still get a great patch design. The more colors a patch has, the more expensive it is to produce. Interesting designs can be produced with a single color and contrasting background hue. Adding a total of more than 10 colors will increase the cost, but not excessively. It’s the multi-color patches, complete with gold or silver thread that become cost prohibitive. With an intricate die-cut design, this patch is more expensive to produce than a standard shape. There are standard shapes for patches, circular, oval, square and rectangular, designs that are easily accommodated by stitching machines. These are less expensive to produce than an irregular shape, known as a die-cut. You’ll often see motorcycle club patches in the shape of a state or a winged crest or the outline of an actual bike. These designs require more labor to produce, and therefore cost more to you. If you can use a regular geometric shape, you’ll help keep the cost down. Large, oversize patches cost significantly more than smaller, standard shapes. We’ve all seen the large biker embroidered patches, 12 inches across or more, usually worn on the back of a vest or jacket. 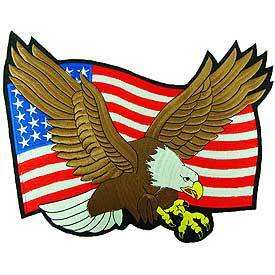 These patches, often a flag or American bald eagle design, are very impressive visually, but can be costly. The oversize embroidered patches require more labor, more stitching and special equipment to produce. 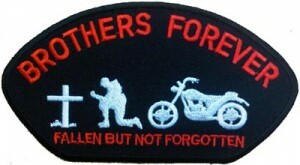 Memorial patches are a great way to remember a fellow rider. Demand is always greater than you estimate (especially as everyone sees the patch for the first time), you’ll save money by making your order quantity larger initially instead of repeat orders. To produce an embroidered patch, there are costs for design work and stitching machine prep, known as set-up charges. Set-up is a fixed cost, spread out over the production run, so the more patches you order, the lower the set-up charge per patch. Many first-time customers make the mistake of ordering too few patches (once they see the finished product, everybody wants more than one to put on hats, vests, jackets and other riding gear) and are surprised at the cost of placing an additional order to meet demand. It’s best to figure out how many patches you think you’ll need and then increase the order by ten percent or more. While it’s a little more expensive in the short-term, you’ll save money in the long run. 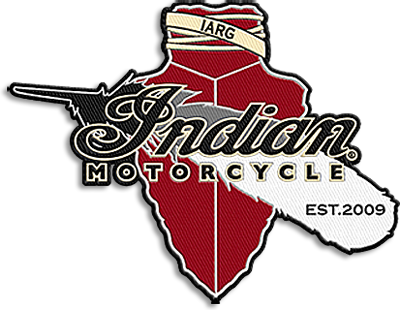 The Chicago Embroidery Company has worked with many motorcycle clubs over the years and can help you and your club create a unique and economical design. Contact us at sales@c-emblem.com , visit www.c-emblem.com or call 312-664-4232. 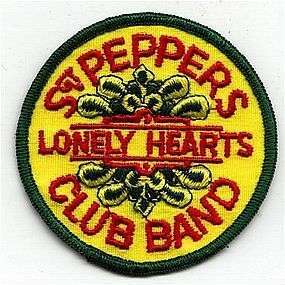 Classic rock and roll band patches are highly prized by embroidered patch collectors. While the typical embroidered patch is used for a uniform, usually a sports team or military unit, or on business attire for a commercial enterprise , embroidered patches also have a festive, decorative side as well. The music industry often uses embroidered patches as a promotional tool. 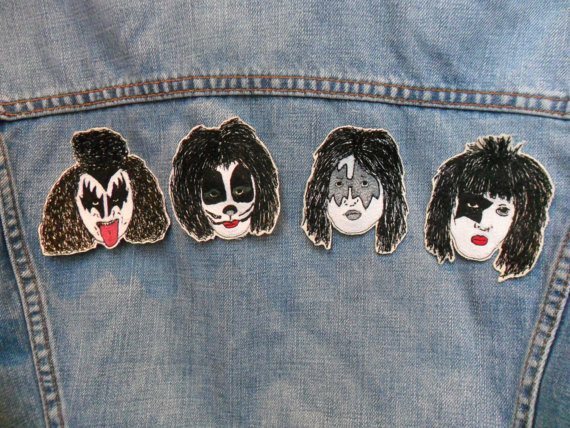 Patches are relatively inexpensive and much beloved by fans of a singer or musical group. There is an extensive collectibles market for patches of the classic rock bands of the 1960s and 1970s, including the Beatles, Rolling Stones, Grateful Dead, Pink Floyd and the Who. There are also many patches commemorating the Woodstock Music Festival. Be careful here, many of the embroidered patches being offered in online marketplaces are reproductions of the original patch designs. Don’t overpay for a knockoff. By far the biggest segment of the music industry to embrace embroidered patch artwork is bands of the heavy metal genre. Motorhead, Anvil, CroMagnon, Blasphemy, Katharsis and many other heavy metal bands have numerous patch designs, avidly displayed by their fans. In both sew-on and iron-on backings, the metal bands fans are proud to wear, showing their allegiance to their musical heroes. New Katy Perry Prism release features an embroidered patch. Even today’s musical artists are using embroidered artwork as a promotional tool. Katy Perry’s new Prism album included a triangular embroidered patch for her fans to sew on a purse, hat or treasured clothing item. Music patches don’t even have to be group or singer-specific. One of the most popular embroidered patches of the genre is the graphic representation of a musical note. Other images include vinyl records, headphones and other musical paraphernalia. Learn more about creating a customized embroidered patch from the Chicago Embroidery Company for your band or group by visiting www.c-emblem.com or call 312-664-4232.